Puppy school - What are we looking for? Our Puppy School tutors come from all walks of life. Many are dog training professionals when they join us, with thriving careers as dog walkers, groomers, vet nurses or behaviourists. 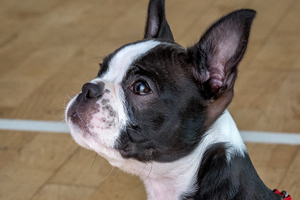 Others however come to us from doing a totally unrelated day job – we have teachers, accountants, personal assistants and managing directors running classes under the Puppy School franchise. What they all have in common is a passion for training puppies using reward based methods, making it fun for both puppy and owner. Whilst we do not require our new prospective tutors to have training experience, or to have run training classes previously, they will be expected to be able to demonstrate that they have extensive hands-on experience of working with a range of different types and breeds of dog. This can be gained by working, either in a professional capacity (more than six months as a veterinary nurse, kennel assistant in boarding kennels, dog walker, groomer or similar) or as a volunteer (more than one year of regular weekend work at a rescue shelter or similar). It is also essential that prospective tutors have a keen interest in animal behaviour. Additionally, it is essential that you are sociable and are able to get on well with people since you will be helping the owners to teach their puppies rather than only teaching the puppies themselves. It is desirable, although not essential, to have some experience of speaking to, or teaching small groups.